BFI Day at the Movies!! - Building Families, Inc.
BFI Day at the Movies!! What a great movie!!! It was Incredible! Haha, but really Incredibles 2 was so good. 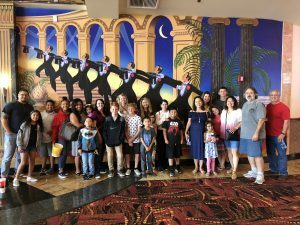 A movie day was a great way to kick off summer break with some of our Surrogate Moms and their kiddos. If you haven’t yet…go see it! ← Happy Birthday to These Twins!